Make your life more productive with every new browser tab you open. Take quick notes, and access them on the BriskNote mobile app and vice versa. Perfect for taking notes while having conversations, jotting down spontaneous ideas, making lists, storing pieces of code or message drafts, and so on. 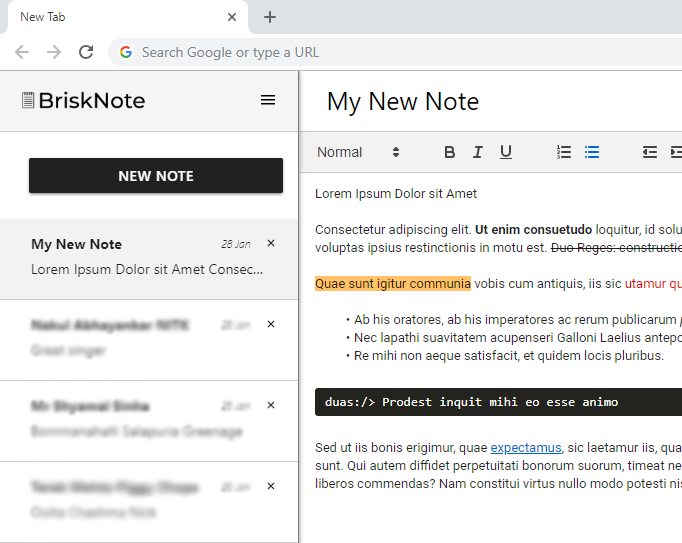 BriskNote is the perfect middle ground between oversimplified sticky notes and complex desktop note-taking softwares. And the best part, it's absolutely free!